Washington Veterinarian Insurance. As a veterinarian, you face many of the same risks and potential liabilities faced in any medical profession, which makes it necessary to purchase sufficient insurance to cover any claims against you. A business owner's policy for vets makes a lot of sense because it gives your small business three separate coverage types to give your business a buffer of protection against unforeseen losses and claims. This type of policy can also be customized with additional coverage types and riders to meet specific needs you have in your particular practice. This is why Washington veterinarian insurance is so important. Washington veterinarian insurance protects your practice from lawsuits with rates as low as $37/mo. Get a fast quote and your certificate of insurance now. Who Needs Washington Veterinarian Insurance? 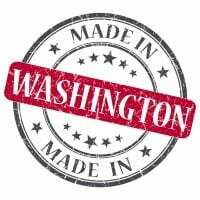 All small businesses, including your veterinary clinic, should carry a WA business owner's policy. In short, any small business that faces potential claims and lawsuits should consider buying the BOP policy at a minimum. Any business owner with assets to protect from damage, theft, or other loss should also buy this type of policy. 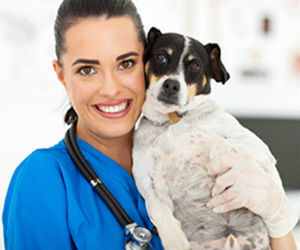 Request a free Washington Veterinarian insurance quote in Aberdeen, Anacortes, Arlington, Auburn, Bainbridge Island, Battle Ground, Bellevue, Bellingham, Bonney Lake, Bothell, Bremerton, Burien, Burlington, Camas, Centralia, Chehalis, Cheney, Clarkston, College Place, Covington, Des Moines, DuPont, East Wenatchee, Edgewood, Edmonds, Ellensburg, Enumclaw, Ephrata, Everett, Federal Way, Ferndale, Fife, Gig Harbor, Grandview, Hoquiam, Issaquah, Kelso, Kenmore, Kennewick, Kent, Kirkland, Lacey, Lake Forest Park, Lake Stevens, Lakewood, Liberty Lake, Longview, Lynden, Lynnwood, Maple Valley, Marysville, Mercer Island, Mill Creek, Monroe, Moses Lake, Mount Vernon, Mountlake Terrace, Mukilteo, Newcastle, Oak Harbor, Olympia, Othello, Pasco, Port Angeles, Port Orchard, Port Townsend, Poulsbo, Pullman, Puyallup, Redmond, Renton, Richland, Sammamish, SeaTac, Seattle, Sedro-Woolley, Selah, Shelton, Shoreline, Snohomish, Snoqualmie, Spokane Valley, Spokane, Sumner, Sunnyside, Tacoma, Toppenish, Tukwila, Tumwater, University Place, Vancouver, Walla Walla, Washougal, Wenatchee, West Richland, Woodinville, Yakima and all other cities in WA - The Evergreen State.